700 feet of Lake Weir frontage on 4 Acres located on a bluff with sweeping views of Lake Weir. Incredible sunrises and sunsets. Private access roads on both sides of the property provides easy access for your vehicle to the beach and dock plus stairs leading from the houses down to the waterfront and dock. Words cannot describe the panoramic views, tranquility and privacy of this property. Additional 1.46 acres is located directly across the road ensuring the Buyer has control of their privacy. 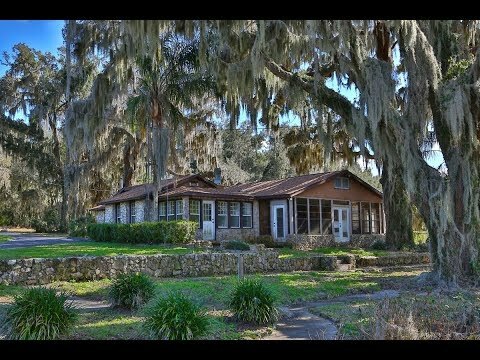 This magnificent property boasts large Granddaddy Live Oak trees, lush foliage and an orange grove for agricultural exemption. Options exist to rebuild the large dock. The two homes need updating and both homes have newer roofs. A truly one of a kind property for you and your family to enjoy.